Popular, self-made millionaire, author / motivational speaker/ financial guru, author of "Who Told You...You Were Broke," Paul D. Jones will release his new book "Schedule for Success" September 18, 2012. Mr. Jones will be a guest financial panelist at the WBLS Circle of Sisters Conference in New York City on October 6, 2012. You may have a million dollar idea, but only a well-planned and executed schedule can make it a million dollars. Great thoughts become great deeds only when put into action and successful action requires a plan. 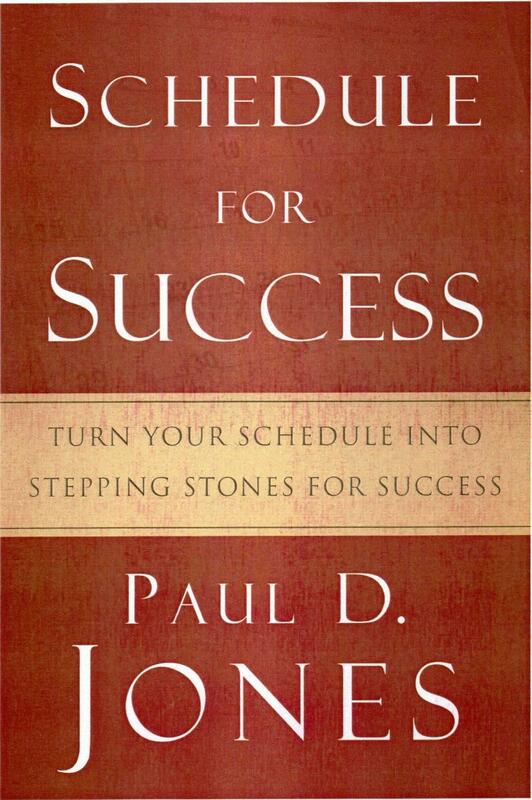 Paul D. Jones' Schedule for Success shows how planning the effective use of time and resources reduces stress and maximizes effectiveness in achieving true success in business, relationships, personal health and growth, faith, and life in general. Jones' knowledge, experience, and techniques make Schedule for Success a personal road map leading to inevitable success at the end of your journey.